FBI Probes New Allegations Against Trump's Coffee Boy - Joe.My.God. FBI and congressional investigators are looking into a new and uncorroborated claim that the former Trump campaign aide George Papadopoulos said he was pursuing a business deal with Russians “which would result in large financial gains for himself” and President Donald Trump. A Democratic source on the House Intelligence Committee confirmed to INSIDER that the letter was sent to ranking member Adam Schiff’s office earlier this month from someone who claims to have been close to Papadopoulos in late 2016 and early 2017. A lawyer for Papadopoulos declined to comment. If corroborated, the claims in the letter would add to an emerging portrait of Trump and his associates’ eagerness to strike backdoor deals with Russia even after the intelligence community concluded that Moscow had interfered in the 2016 election. Papadopoulos reported to the medium-security federal prison in Oxford, Wis., last Monday for his short stint. 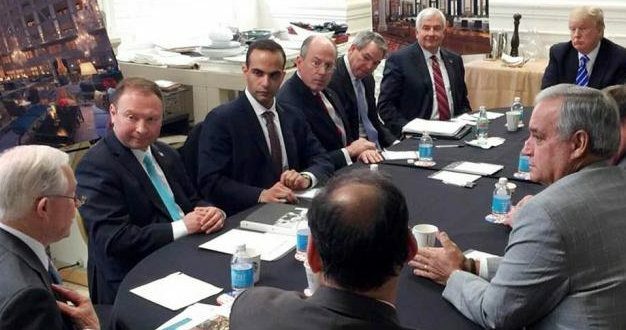 In the early stages of Mueller’s probe, Papadopoulos lied about his contact with Joseph Mifsud, a Russia-connected professor who told him that Russians had dirt on 2016 Democratic nominee Hillary Clinton, when he was part of the Trump campaign, as well as a woman who claimed to be Russian President Vladimir Putin’s niece.